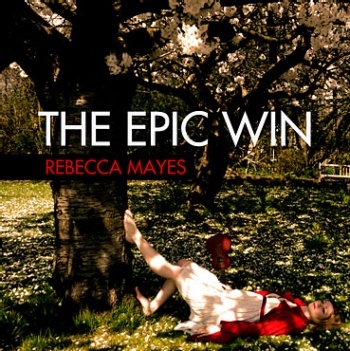 Get Rebecca Mayes' Album The Epic Win Two Weeks Early! Rebecca Mayes' collection of videogame-reviewing music won't officially go on sale until May 28th, but fans of her here on The Escapist can get their hands on it a full two weeks early! Ever since Rebecca Mayes made her debut on The Escapist as Rebecca Mayes Muses, she's amassed quite the collection of music inspired by (and critiquing) the games we all love and love to hate. Those tunes have been compiled into not one, but two albums (the shorter Songs From the Garage and the long-form The Epic Win), which go on sale at the end of May. However, the lovely Ms. Mayes has set up a website where all of her fans here on The Escapist can get the album two weeks ahead of its official release! Head on over here to get The Epic Win and Songs From the Garage, either separately (Â£9.99 and Â£3.99 respectively - that's $14.75 and $5.89) or as a bundle for Â£12.99 ($19.19). If you've been a fan of Rebecca Mayes' music and want to listen to it while you're on the go, you shouldn't miss out! Of course, you could always wait another two weeks, but where's the fun in that?